We are part of Biomedical Engineering at the University of Delaware. Our research investigates structure-function relationships in load-bearing fiber-reinforced tissues and joints, and the associated changes that occur during development, with degeneration and injury, and following therapeutic intervention. 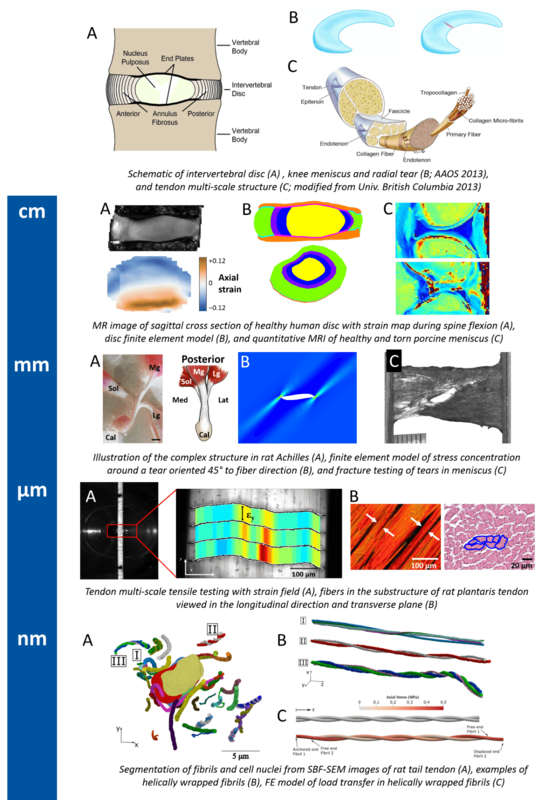 Our hierarchical approach integrates mechanical testing, mathematical modeling, and imaging from the entire joint-level, to the tissue, the micro-scale, and has recently extended to the nano-level.